Earaches may occur at any time and can be uncomfortable. Many factors may lead to an earache, such as an infection of the outer or middle ear, inflammation, pressure changes, and sore throat and sinus infections. However, lavender oil may bring relief to the pain felt from an earache. Consult a qualified physician before self-treating any health condition. According to OrganicFacts.net, lavender oil is extracted from flowers of the lavender plant through steam distillation and may be used in forms such as oils, lotions, soaps and gels. In addition, lavender oil has many health benefits and may be used to relieve pain, remove nervous tension, enhance blood circulation and treat respiratory problems. 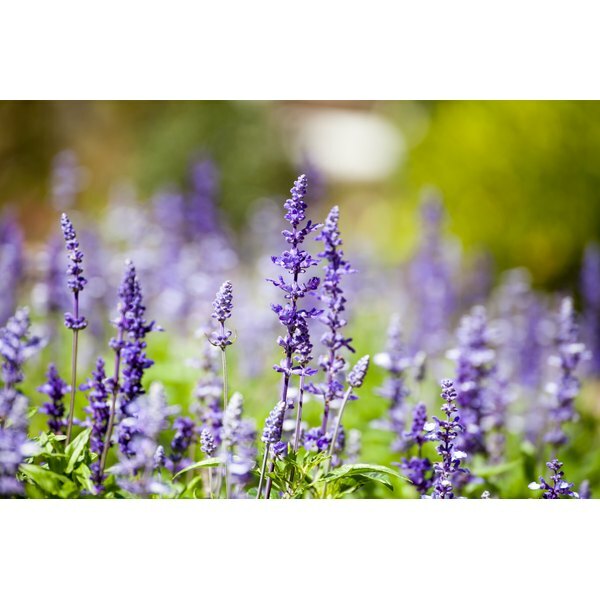 Lavender oil also has a soothing, calming effect when used as aromatherapy and the scent is inhaled. According to the University of Maryland Medical Center, ear pain in adults is less likely to be caused by an infection and may actually be coming from another location, such as your throat, teeth or temporomandibular joint. Other causes of earaches may include sinus infections, objects stuck in the ear or an infection of the outer or middle ear due to secretion buildup in the Eustachian tube. Pain from an earache may range from mild to moderate. You may experience a sharp dull pain in one or both ears. In addition, there may be a burning feeling that may be constant or temporary. Earaches may lead to headaches. Lavender oil may be used to as a topical ointment to ease the pain of earaches. According to the University of Maryland Medical Center, lavender oil one of the only oils that may be safely applied topically undiluted. When using lavender oil for earaches apply a small amount to the outer ear and rub gently. It may be applied as needed throughout the day. Many herbs contain ingredients that may trigger side effects when used with other herbs and certain medications. Allergic reactions to lavender may lead to nausea, vomiting and headaches. Consult a doctor before using herbal treatments, and use herbs with caution. Women who are pregnant or breastfeeding should avoid using herbs as treatments or remedies for health conditions.